There are 27 Memory Care Facilities in the San Leandro area, with 3 in San Leandro and 24 nearby. The average cost of memory care in San Leandro is $5,647 per month. This is higher than the national median of $4,650. Cheaper nearby regions include Hayward with an average starting cost of $3,750. To help you with your search, browse the 39 reviews below for memory care facilities in San Leandro. On average, consumers rate memory care in San Leandro 4.7 out of 5 stars. Better rated regions include Albany with an average rating of 5.0 out of 5 stars. Caring.com has helped thousands of families find high-quality senior care. To speak with one of our Family Advisors about memory care options and costs in San Leandro, call (855) 863-8283. According to Healthy Alameda County, 10 percent of Medicare beneficiaries in Alameda County received treatment for Alzheimer's disease or dementia in 2015. In San Leandro, seniors, the age group most at risk of developing Alzheimer's, make up 15 percent of the 91,000-person population. To meet the needs of those with dementia, memory care facilities provide specialized care in a secured setting. 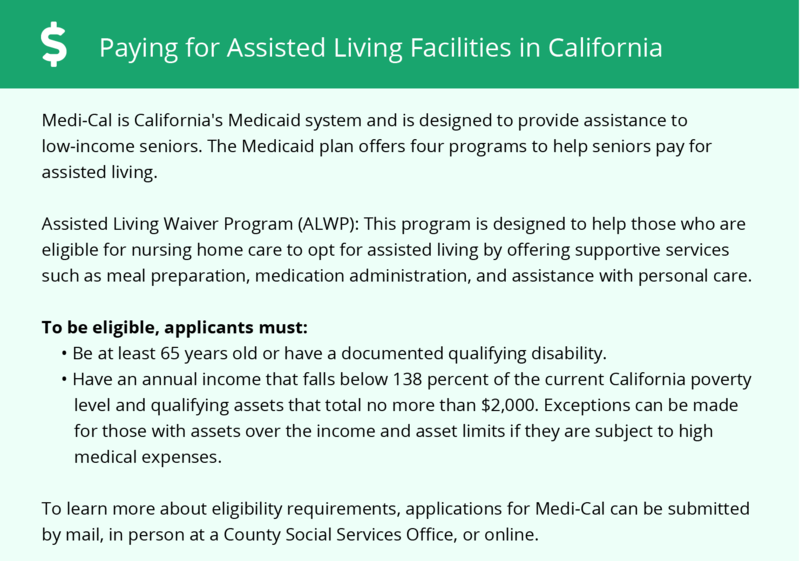 These facilities, which may either be independent or located as part of a residential care facilities for the elderly, are licensed and monitored by the Department of Social Services, Community Care Licensing Division. San Leandro has three memory care facilities, and there are two dozen more in the surrounding area. Alameda County's air quality is relatively poor, receiving an F for ozone pollution and a C for 24-hour particle pollution from the American Lung Association. Poor air quality can exacerbate conditions like asthma and cardiovascular disease, which may be a consideration for families who are considering a San Leandro memory care facility for their loved one. California is not very tax-friendly for seniors. While seniors don't pay state income tax on Social Security benefits, all other forms of retirement income, including government pensions, are fully taxable. This may impact the memory care budget. San Leandro's cost of living is high, even compared to California's average. Overall living costs are about 87 percent higher than the national median and about 18 percent higher than the state average, primarily due to the high cost of real estate. Health care expenses are slightly below the national median, however, which may help families offset other expenses. San Leandro has a mild year-round climate, making it a good choice for seniors who enjoy relaxing outdoors and families who travel to the area to visit their loved ones in memory care. July highs are around 74 degrees, January lows are in the 40s, and the region gets virtually no snow. Memory Care costs in San Leandro start around $5,647 per month on average, while the nationwide average cost of memory care is $4,800 per month. It’s important to note that memory care rates in San Leandro and the surrounding suburbs can vary widely based on factors such as location, the level of care needed, apartment size and the types of amenities offered at each community. To see a list of free memory care resources in San Leandro, please visit our Assisted Living in California page. 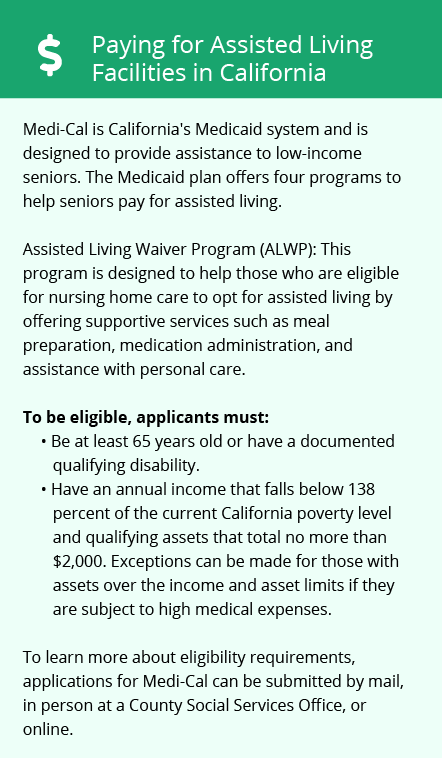 San Leandro-area assisted living communities must adhere to the comprehensive set of state laws and regulations that all assisted living communities in California are required to follow. Visit our Memory Care in California page for more information about these laws.